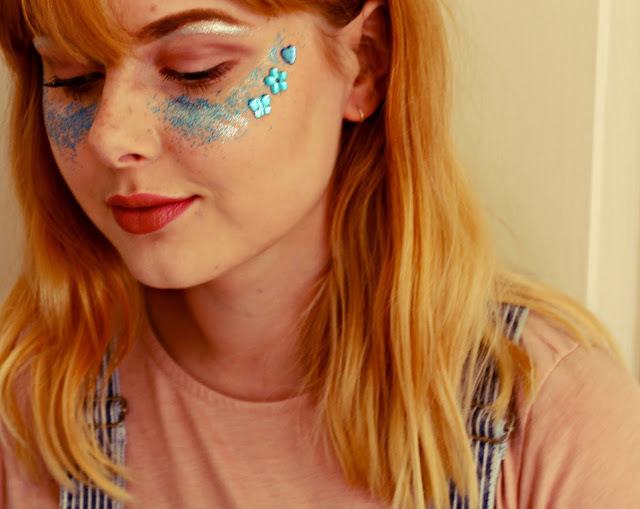 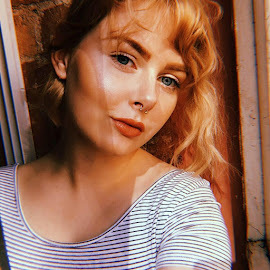 If you follow me on pinterest you may have noticed that my 'on my face' board consists of a lot of glitter based make-up looks so you can imagine how happy I was when my pal Abi from @glitteraddicts on instagram and depop offered to send me some glitter for me to wear and blog and instagram. She very kindly sent me this stunning turquoise glitter and some turquoise butterfly, heart and flower gems which are just soooo cute and when I had nothing better to do I stuck them all on my face. 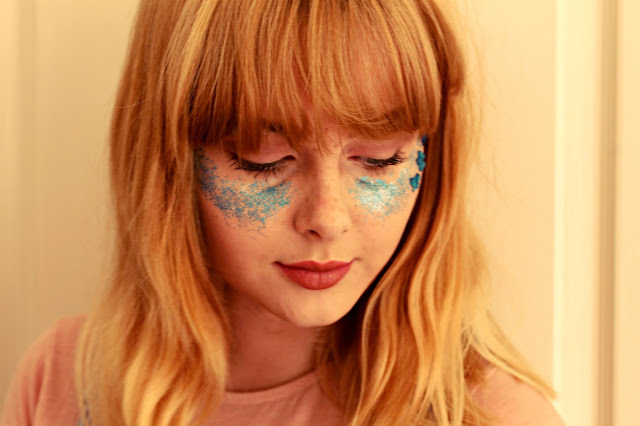 Of course they are possibly best for festivals and parties but I can't see why you can't just wear glitter whenever. I did actually go shopping like this and despite the many looks of dismay and horror I did get compliments and I think I looked damn cool.